“I would rather have no AUMF than the AUMF that he’s proposed,” McCaul said. “While we would prefer not to deploy american ground troops into combat, we cannot rule out the possibility if we want to destroy ISIS,” he added. Congressional Democrats have voiced their opposition to the policy because it does not rule out American boots on the ground. Many Republicans oppose the proposal because it does not specifically provide for ground forces. McCaul outlined the threat of Islamic extremism abroad and within the United States, explaining that war against Islamic terror is not just a battle against a particular group, but against a growing “spiderweb” of extremism around the world. “Right now, violent extremists appear to be winning,” he said. 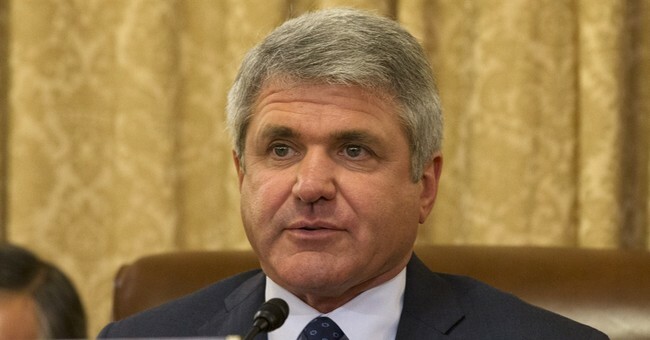 While McCaul appreciates the president’s consulting Congress on war power, he iterated concern that agreement between Congress and the White House will be difficult. McCaul described war against ISIS as the defining conflict of the current generation’s struggle opposing Islamic extremism.